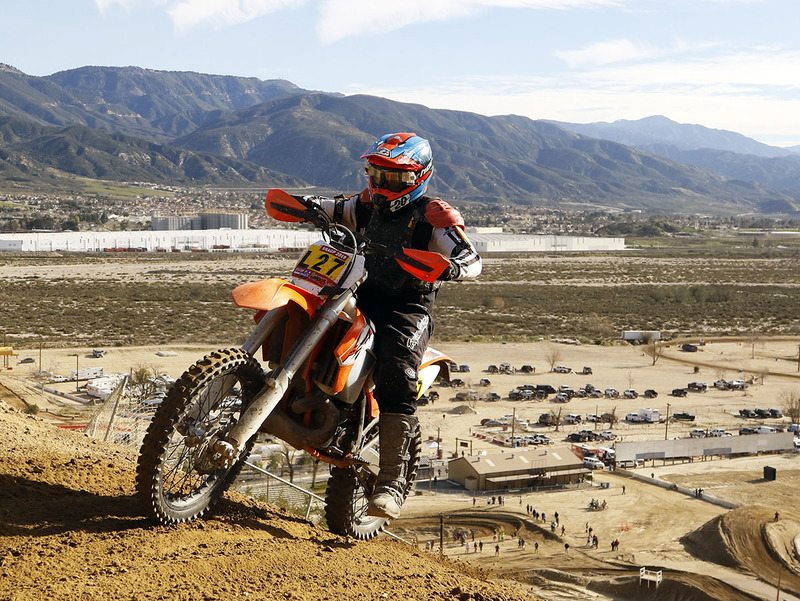 The 11-race 2019 SRA Grand Prix series opened under sunny skies at Glen Helen Raceway on Sunday, January 27. There was an excellent rider turnout with well over 20 riders on most lines. 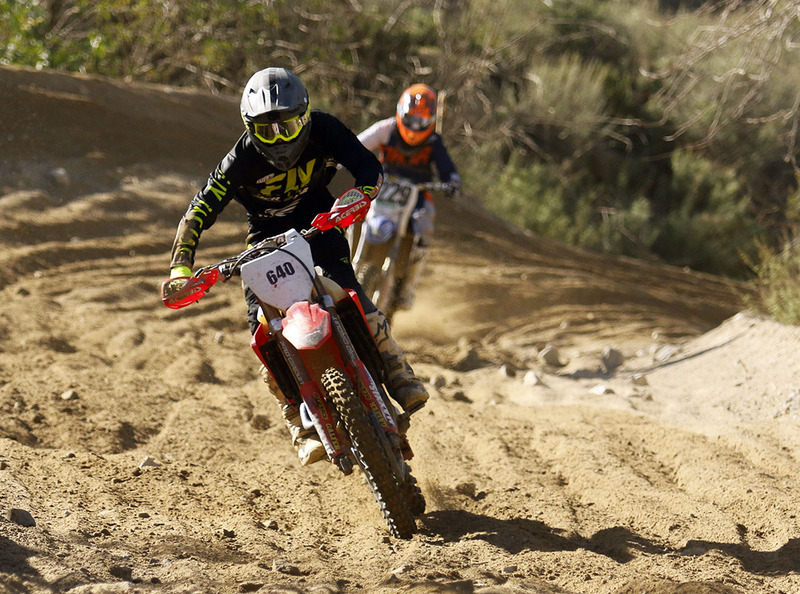 The course for this event was well laid out by the SRA crew with assistance from the Glen Helen staff. 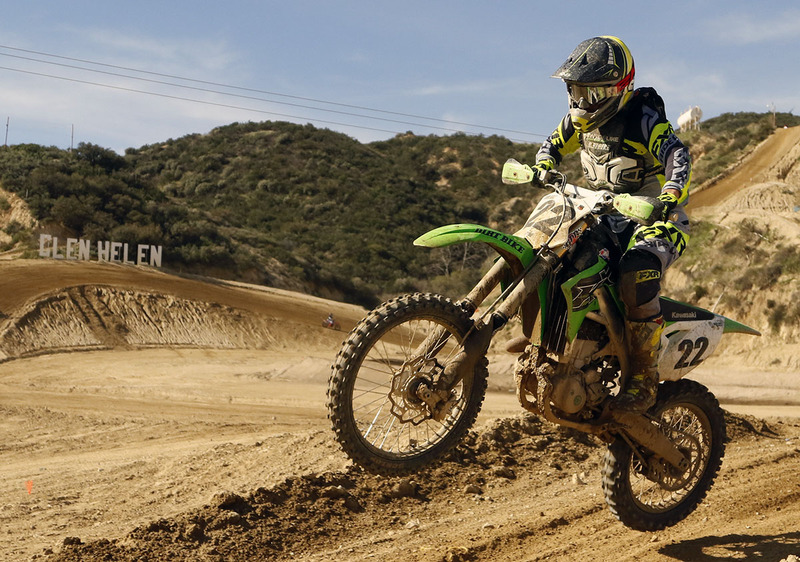 The National, REM, Lucas Oil truck tracks and off-road sections of the Glen Helen grounds were all blended together to provide a relatively simple, fast, challenging and very entertaining race course. John Huegel was at Mecum Auction in Vegas on Saturday and racing the +70 class with SRA on Sunday. Race One was comprised of the always-popular 50+, 60+, (new for 2019) 70+, and Women’s classes including skill levels from Beginner to Expert. New year, old story; Gordon Ward dominates again. Marc Matson led the way for the first lap before Ward made a pass for the lead and never looked back. Matson hung on for 2nd overall ahead of Brian Calhoun and John Griffins. Womens Expert Kaitlyn Jacobs put in a stellar ride finishing 6th overall. Steve Williams lead every lap of the 60+ class and 2018 60+ class champion Rick Snaders got off to a good defense of his title by finishing second. John Huegel and Larry Owens did a great job of representing the new for 2019 70+ class. 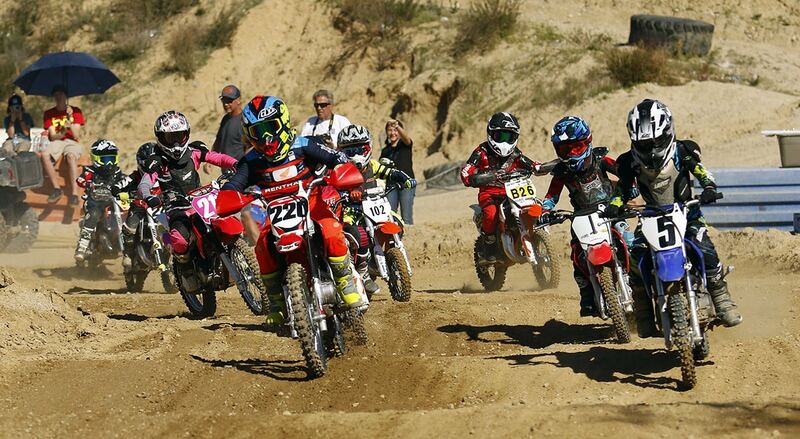 Lining up for their customary place in Race Two were the 65cc, 85cc, and Super Mini classes. The Pee Wee race took place on a separate track. Photo by Sean Renshaw. SRA dedicates Race Two specifically to the kids with the thought that doing so will increase rider safety and allow all other riders and family members to watch these futures of our sport. 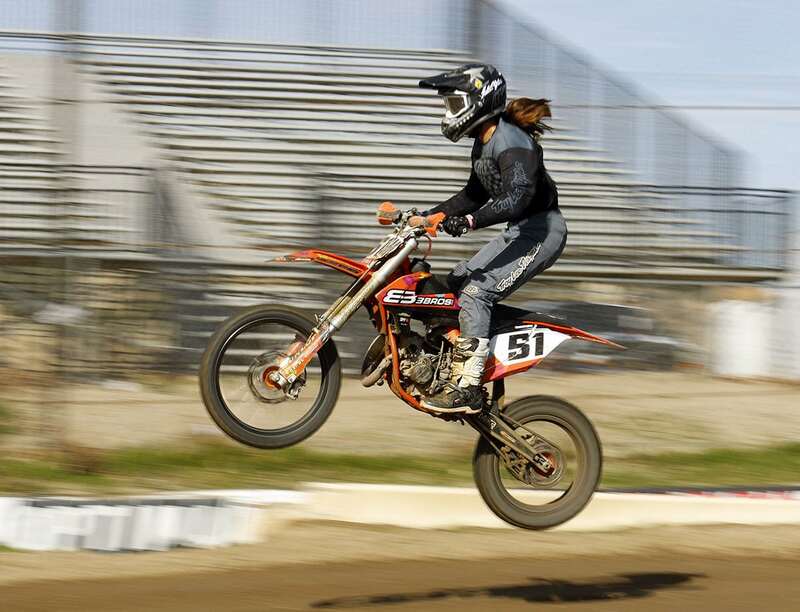 There were 21 riders in this month’s race that runs the complete GP racecourse, and 85cc Expert Mikayla Nielsen started off the new year just like she finished 2018; leading the way. 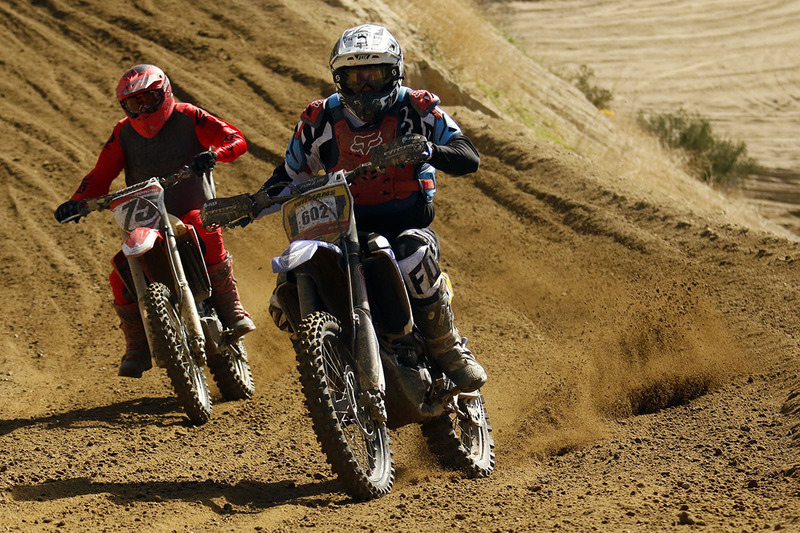 Lane Forbes piloted his Super Mini to second overall, leading a trio of 85cc experts including Max Esquivel, Jett Lessing, and Gordon Teuber. First 65cc Expert Caleb Tate did well to finish 6th overall. Gordon Ward won the +50 and +40 races, and beat all the +30 riders just to ake them feel bad. Photo by Sean Renshaw. Race Three consisted of the 30+ and 40+ riders. The pace in this class is impressive. These riders are old enough to be included in age group classes, but prove that age is only a number. It is a good thing that age is only a number since 50+ rider Gordon Ward once again lead the way to the overall finish. 30+ rider Mark Tilley lead the first lap, and put in a good effort to keep Ward in sight, but had to settle for second in the end. 40+ Expert David Faux rode hard to finish 5th overall followed closely by Scott Putnam. Dirt Bike Magazine Managing Editor Mark Tilley was the top +30 rider. 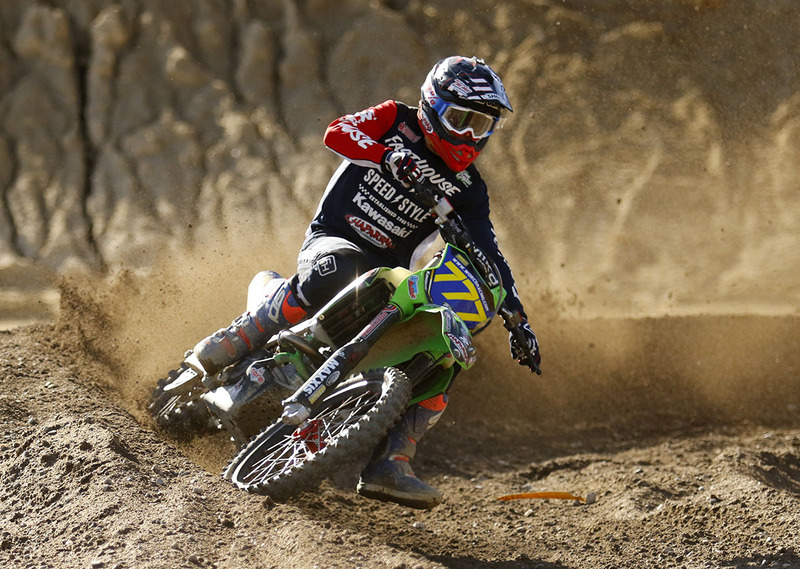 The last race of the day was the 450cc, 250cc, and 125cc race. Track conditions for this race were rough and challenging. This class never disappoints and today was no different. Reigning Big 6 champion Trevor Stewart put on a riding clinic scrubbing jumps and railing berms like the seasoned pro that he is. Blayne Thompson kept Trevor honest by leading the first three laps, but Stewart eventually worked his way by Thompson and slowly pulled away for the win. Blayne Thompson battled with Trevor Stewart for top Pro. Photo by Sean Renshaw. Tallon Lafountain was also impressive, pushing his way to 3rd overall. Perhaps the breakout ride of the day was put in by 250cc Expert J. Y. Leavitt who put in a strong effort on his borrowed motorcycle pushing himself to 5th overall, first 250. The Pee Wee race was once again a success. Word has obviously gotten out as the rider count was up to 15. The riders (and parents) were caught having a tremendous amount of fun. The track is fun, challenging (but not too challenging), and safe. Steve Williams was the top +60 rider. Photo by Sean Renshaw. Please help SRA grow support for this race, as this is the true future of our sport. The opening round of the 11-race SRA Grand Prix series was a great success. The conditions were pleasant, rider turnout was up from 2018, competition was stout, and fun was had by all involved. 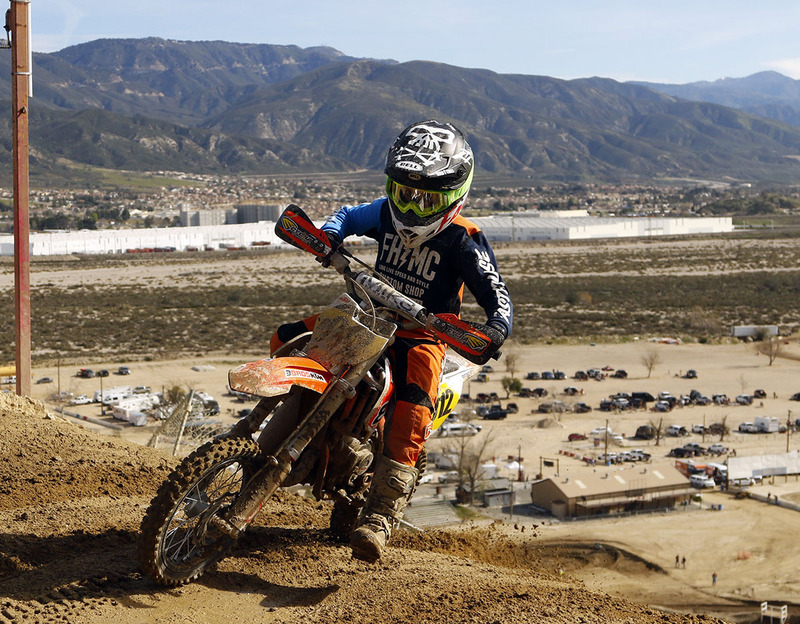 Round 2 of the SRA Grand Prix series will be at Glen Helen Raceway on Sunday, February 24, 2019. Results can be found at http://moto-tally.com/SRAGP/Results.aspx. Rich Suitor and the staff of SRA always strive to make the SRA experience a great one. Please let them know how they are doing. Reach out via SRAGP.com, Instagram or Facebook. 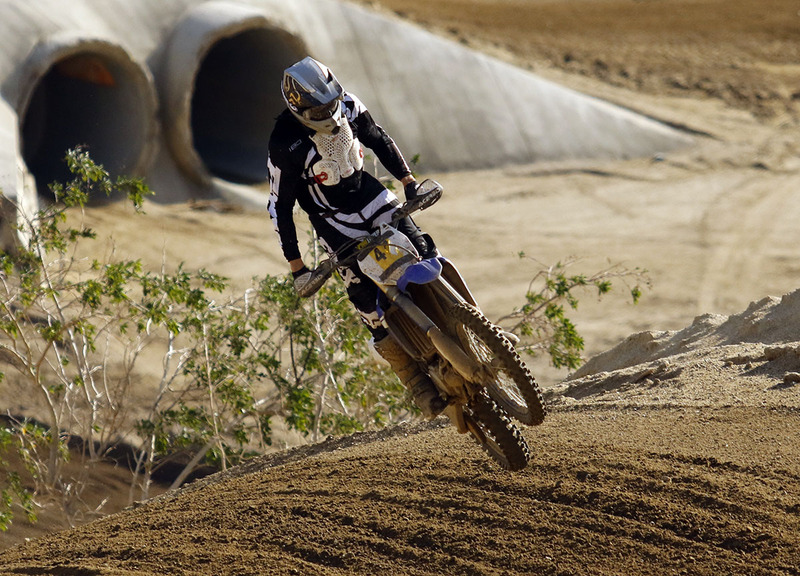 First 65cc Expert Caleb Tate did well to finish 6th overall. Photo by Sean Renshaw. Mikayla Nielsen started off the new year just like she finished 2018; leading the way. Photo by Sean Renshaw. THE MACHETE HARD ENDURO IS BACK!